Welcome to this installment of our monthly progress update! This series is composed of two parts: 1) the major happenings of the month, and 2) choosing a switch brand. Let’s get started! A lot has happened since our last update. Let’s see the nitty-gritty! 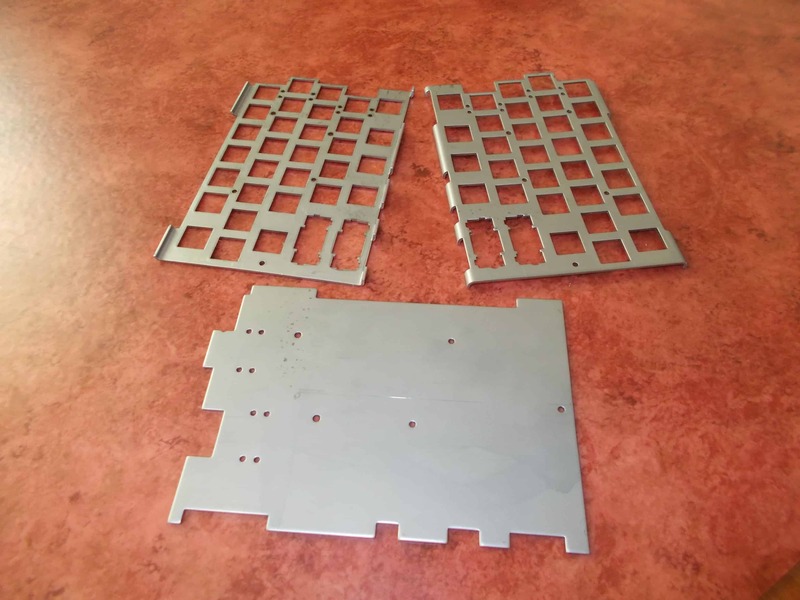 Our Serbian contractor has manufactured the first samples of the bottom parts of the case, the case buttons, and the metal plates. 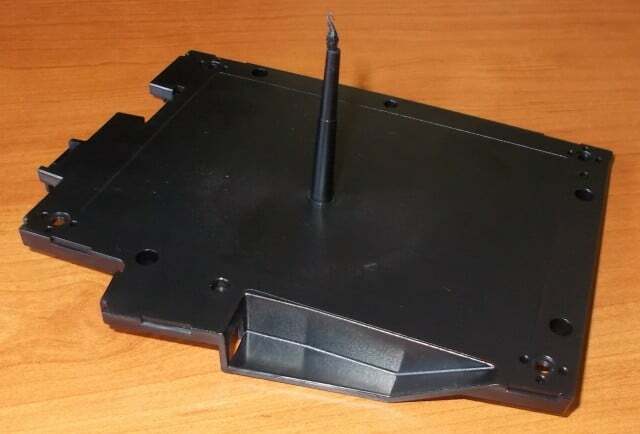 It’s easy to see the protruding pole-like plastic part where the case has been shot. This gets manually removed after molding. Don’t worry about the aesthetics. These are just test shots. The plastic parts look pretty good for the first try, but they have some minor inaccuracies that will need to be corrected. This is nothing unexpected, and corrections like this are usual in the world of manufacturing. We’re not ready yet. The type of the foam, the technology, and the drape to be used are not final. This continues to be an active area of development, and in our true style we’ll be keeping you in the loop. Next step, the PCB of the display will be put into the plastic shell, then it will be filled with epoxy, and a sticker featuring the graphics will be put onto the front side. We should get a ready-made sample pretty soon. 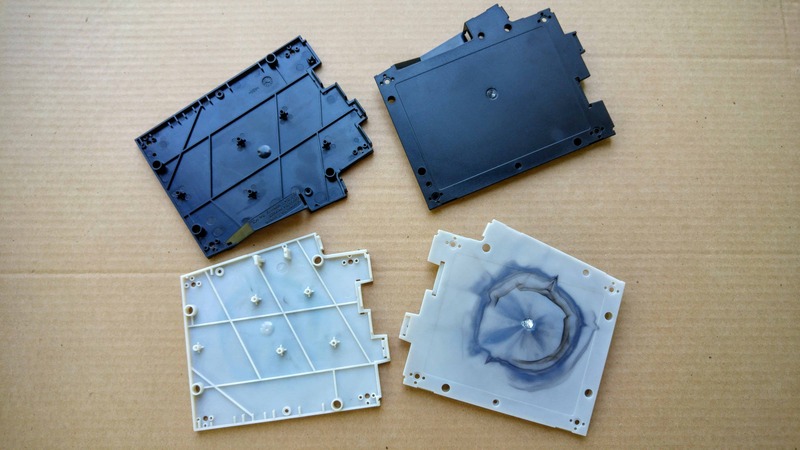 We’ve already picked about a dozen of suppliers who will provide all the different parts of the UHK, but a major manufacturer had yet to be found for assembling the PCBs. So I started to request quotes from foreign companies, but when I received them, I stopped for a moment. “Wouldn’t it be great if we could find a nearby company?” – I thought. And then I emailed all 20 of the PCBA companies of Hungary and waited for quotes. Then the impossible happened. It turned out that one of them is located in Kalocsa, the same small city where we’ll assemble the UHK. Not only are they next to us but they’re very responsive and interested in the project. We toured their facility and concluded that they’re the kind of guys we want to work with. We’ve exchanged many emails and made a number of phone calls since then. 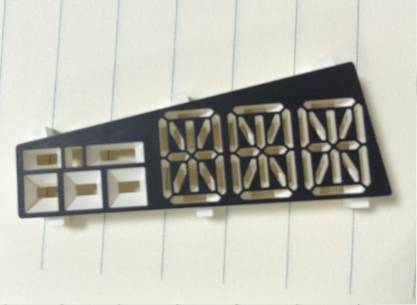 These conversations are supremely useful, as we can heavily optimize the design of the PCB for manufacturing. As an added bonus, it seems like they can assemble not only surface mount components, but all the through-hole parts, so we won’t have to take care of those separately. We couldn’t wish for more. And this is how we managed to insource PCBA by finding a company who is not 8,000 but 2 km away from us. Agent has been developed at a rapid pace lately, which leads me to introduce our latest and greatest contributor – Give it up for Mr. Mikko Lakomaa! 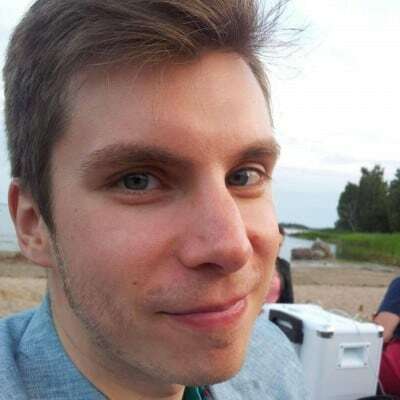 Over the last few weeks, Mikko has managed to push the Macro UI of Agent to the next level, so mad props go to him along with a UHK with all the bells and whistles. Thank you so much for your contribution, Mikko! Jozsef and Nejc are also pushing hard and have been making solid progress. Nejc has implemented the add keymap UI of Agent and now working on the data layer which manages the internal state of Agent. Jozsef has been implementing his fair share of refactorings and reviewing a fair number of pull request as the lead developer of Agent. 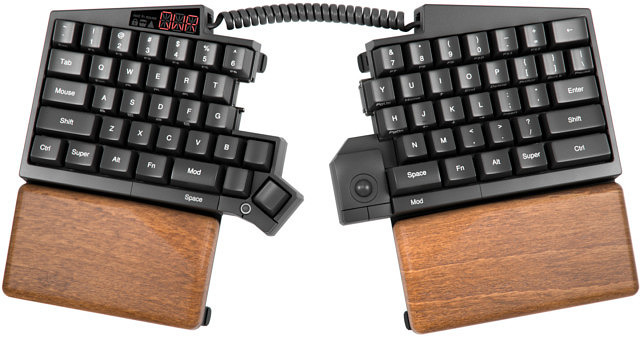 We have just decided which switch brand will be used for the UHK. Our campaign page mentions Gateron or Greetech as possible candidates, but in order to make the best choice we ended up considering other brands, too. It’s important for us to share our thought process with you, so we’ll go over all the brands one by one and highlight some major points. Cherry is hardly stranger to anyone, given that they’re the original designer and manufacturer of Cherry MX switches. Then their patents eventually expired, and other brands entered to the market and replicated their switches. Cherry is the most trusted brand because they started the show, and they’re still in business after all these years, so it’d make logical sense to pick them over the others except for one thing: availability. The supply chain issues of Cherry MX switches have been prevalent over the years. Cherry is known for striking exclusive deals with the top keyboard manufacturers of the world, much to the dismay of smaller manufacturers who weren’t able to source Cherry switches in a consistent-enough manner to manufacture their products. Some manufacturers switched from Cherries to alternative brands, and were accused of cheaping out. We doubt that these guys were actually cheaping out. Some of them might have, but others simply wanted to get their products manufactured. We don’t want to be ever put into this situation. Availability issues have been well known for long time, so back in the day I ended up phoning Cherry’s German sales office only to be informed that there’s nothing they can do about supply chain issues. Given the above, we’ll only use clear and green Cherry switches because no other manufacturers create switches of such types, but for everything else we’ll use another brand. Gateron switches are well known and loved by the keyboard enthusiast community. 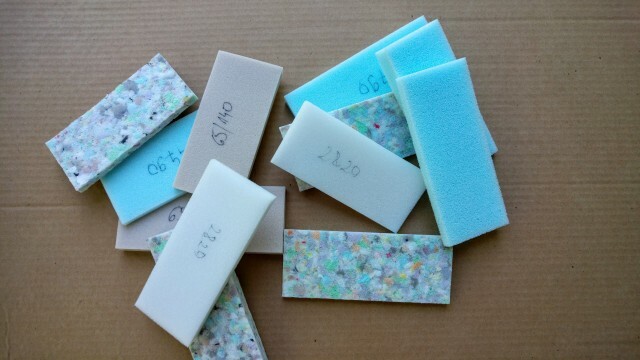 Gateron manufactures quality switches and trusted by many, so it’d make sense to pick them. We have two issues, though. The first issue is the lack of direct contact with Gateron. Call us old school, but we like to get involved with manufacturers to be able to discuss any potential issues. We weren’t, however, able to reach Gateron neither across the Internet, nor via phone. We even asked a friend of ours in Hong Kong to try to get in touch with them, but he wasn’t able to. We would much rather do business directly with a manufacturer than using a buying agent. Again, it’s not because of the slight added cost, but the ability to directly communicate with them. The second issue is that Gaterons use milky white plastic for their housing. This shouldn’t be a problem for most keyboards because the switches underneath the keycaps are hardly visible, but it’s a different story for the UHK. When the halves are split the milky white color becomes visible, and it doesn’t gel well with the rest of the keyboard which is usually black. 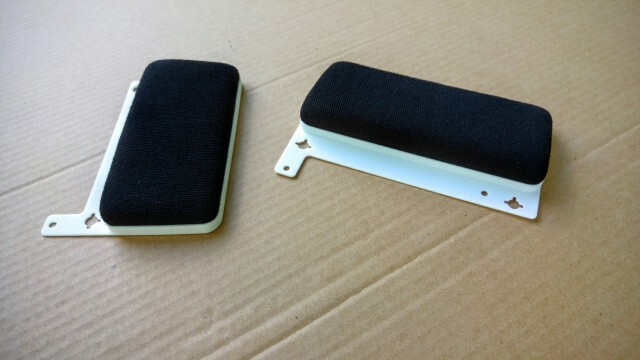 Because of this, we don’t consider Gateron an ideal choice for us, and would rather pick an alternative brand. Greetech switches resemble the look of Cherry switches the most closely. It’s very easy to miss the difference because the shape of the two seems identical. Only the text featured on the housing of the switch tells whether it’s a Cherry or a Greetech. The Greetech switches we tested felt great. Being very similar to Cherries makes them a great choice for us, not only functionally but visually. They offer 4 MX switch types (each with or without stabilizer pins) and 2 low profile switch types. Greetech is a great candidate, but our story doesn’t end here. We wanted to go all the way and consider every switch type. Truth to be told, we don’t know a whole lot about these switches. We can see them being used in various, mostly Chinese keyboards, but we couldn’t even find their website, and have no way of reaching them directly, so our main concern is the same as for Gateron switches. Initially, Kailh wasn’t on our radar because we assumed that they only strike deals with large companies and don’t serve small startups like us. Eventually, our keycap and keyswitch supplier recommended Kail switches. He’s a guy who is also a keyboard designer, deeply passionate about keyboards, and very concerned about quality. 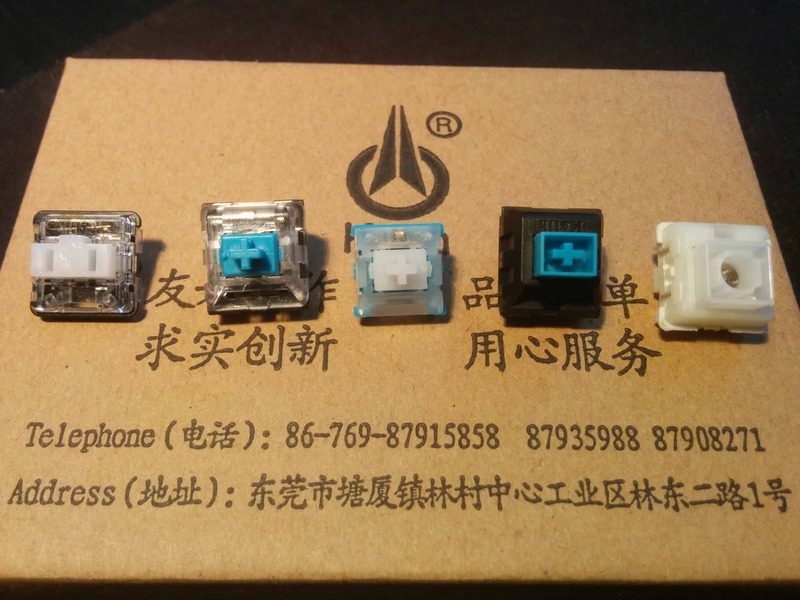 In his opinion, Kailh switches are better than other MX compatible switch brands. Today, I tested about 500 Kailh switches by hand and although I’m not a perfect switch testing machine, every one of them felt great and consistent. András has made a couple of blind tests and he put Cherry and Kailh into the same group 3 times in a row and put Gateron and Greetech into another group. This doesn’t necessarily mean anything, but it might mean that the feeling of Kailh switches resemble Cherry more than other brands. There are a couple of points to be noted about Kailh. They’re a major MX switch manufacturer with more than 2,000 employees. Their manufacturing process is highly automated which should translate to great and consistent quality across their products. Their supply chain is robust and they have plenty of stock, so they can serve their customers without significant delays. Their sales channel is responsive. Kailh also manufactures automotive parts which is encouraging, because automotive manufacturers have to comply very strict quality guidelines. Kailh’s MX switch offering is unusually rich. They offer switches of different case colors (black and transparent), optimized for regular LEDs, RGB LEDS, and SMD LEDs, and are available with or without pins. 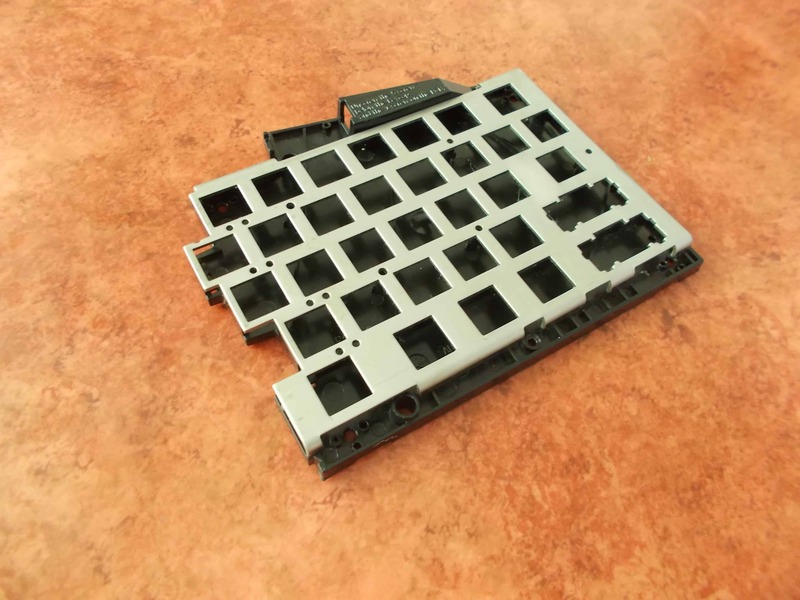 Most of these keyswitches are not MX compatible but they offer various advantages over standard MX switches, like lower form factor, improved backlighting, and such, allowing developers to create new keyboards that stand out in various areas. We consider this a good thing. When googling for keyswitch comparisons, one can find tons of opinions and very few facts. Some people or communities pick a brand to glorify or berate for little or no reason. We always try to be as objective as possible, and make the best choice that will result in an exceptional keyboard. Considering all the factors, we have decided to use Kailh switches for blue, brown, red, and black, and Cherries for clear and green. It’s important to mention that our decisions are not primarily governed by the price. There’s little difference between the price of Cherry MX compatible switches, and if we really wanted to cheap out, the first thing we’d do is to replace the super high quality Omron SS-01D microswitches of the case buttons with a cheaper part. One SS-01D switch costs about as much as 10 MX switches but the alternatives of the SS-01D have inferior durability, so we’re not willing to use those. 2018-04-28: As it turns out, Omron microswitches are reasonably priced when purchased in bulk, but they're hard to purchase in large quantities. Our PCBA contractor suggested an alternative part, the Diptronics MS2-5PN-1D(Ag) microswitch. 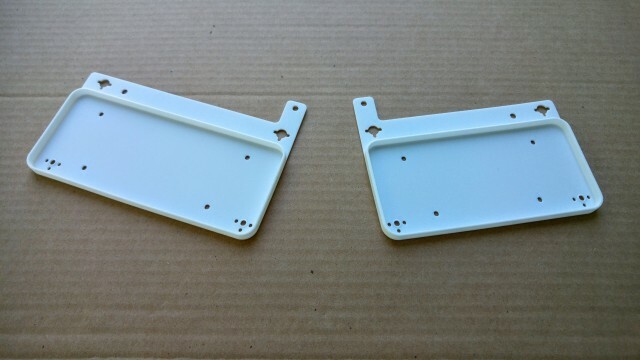 After examining this part, we found that it represents the same high quality as the Omron SS-01D. I wanted to clarify this before being accused of cheaping out. As a general rule of thumb, we never use alternative components unless we're sure that they're of the same high quality as the parts in our BOM. As you can see, there are a lot of factors, such as quality, availability, and aesthetics that come into play when picking a part. We think that, given the above, Kailh is an excellent choice and we’re excited to use their keyswitches in the UHK. Should you have any opinions, you’re always welcome to let us know. It’s been a pleasure to talk to y’all! Let’s touch base on 2016-10-13. Oh no! I was really glad to see that initially I could order it with Gateron blues, as I LOVE that feel. Don't really know Kailh blues… Am I correct that I could remove the Kailhs and resolder from my own batch of Gaterons once I receive the keyboard? Hi WeZzy! Yes, you can totally do it if your (de)soldering foo is strong. We plan to provide instructions for modding your UHK in such ways eventually. Most molds of the keyboard are ready except the molds of the top left and top right case parts which are in progress. We use standard sized neodymium magnets which we can readily buy from a manufacturer. The tooling of the feet is being created in Hungary right now. All things considered, the December deadline seems to be within reach. Hi Joon! This must have been a misunderstanding because we never offered Cherry browns. Let me shoot you an email to discuss this. 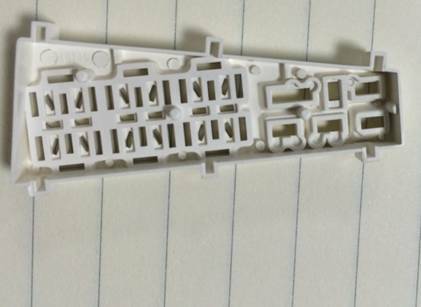 I'm not a mold engineer, but that giant sprue mark is bit unsightly. I understand that it will be covered by a sticker, but it may make the sticker warp. Was there no way to use runners and gates? The sprue mark will be etched away so the surface will be nearly flat. We'll make sure that it won't make the sticker warp. We're not sure what runners and gates are because we're no very familiar with English injection molding terminology, but we assume that it'd call for a more expensive mold. 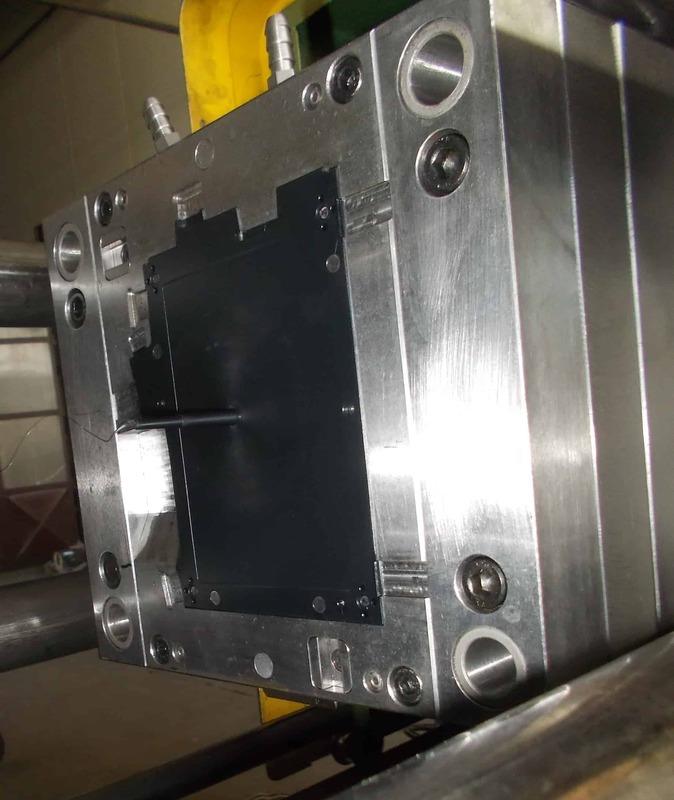 We're aware that we could automate this process better, but we intentionally minimized mold making costs without compromising quality – that's why it's implemented the way it is. 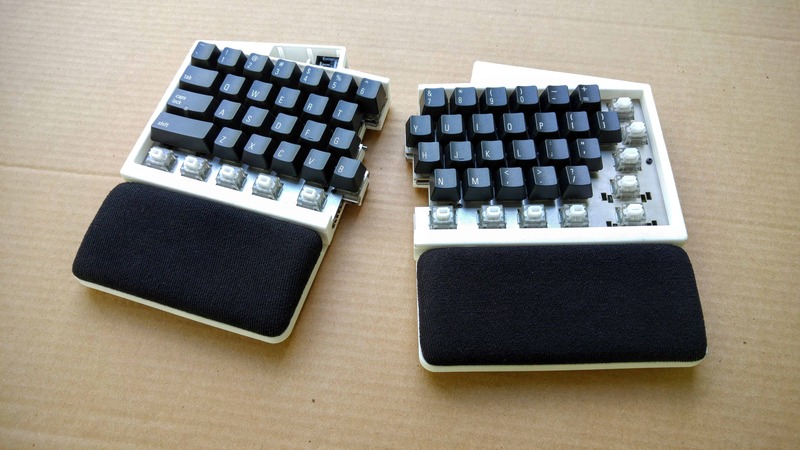 reading blog post about choosing a key switches among MX-styles, with the first photo having prototype with ALPS-style switches almost makes me cry how much i would love to have that particular model. Are the keycaps from Matias as well? Even if "deadline" will slip a month or two, does not matter. Real good products need time to become reality. Keep up the good work. Yes, these keycaps are from Matias. We plan to offer a Matias UHK eventually but not yet. The biggest obstacle is providing a Matias compatible base plate. We rather provide less option in the beginning to deliver as soon as possible, and extend our offering eventually. In any case, the PCB is already compatible with both MX and Matias switches! Yes, it's possible to tent the UHK without using the palm rest, although we think it might not be a good idea ergonomically, because the hands don't have surface to rest on. Sorry to hear that you choosed Kailh switches over other brands. I had disastrous experiences with those switches not in term of feeling (in which they perform as the others) but in term of durability (several dead switches – Kailh red). Thanks for sharing your experiences with us! We wish we had such a tester machine. In any case, based on what we have read we haven't found any conclusive evidence that Kailh switches are worse than the rest durability-wise. Do you know about any such resources? Unfortunately this is solely based on my own experience with such switches (i.e. Zalman ZM-K500 about which a lot of complaints can be found on the interwebs). I don't want to speculate too much, but there are a lot of factors that might cause such problems. For example, overly tight holes in the metal plate, the soldering process used for the switches (reflow soldering vs wave soldering vs selective wave solering), handling and storing of the switches before, during, and after manufacturing, and who knows what else. A conclusive test should include both individual switches and assembled keyboards. My hopes are high that we'll be able to do durability tests eventually but not yet. For anyone interested in how different switch brands compare in terms of feel and consistency, input club has created this page: https://input.club/the-comparative-guide-to-mechanical-switches/ . Here is how they tested: https://input.club/the-problem-with-mechanical-switch-reviews/. They rated Kailh (Kai Hua) among the top, so it looks like we are getting good switches. Thanks for sharing! I'm subscribed to their newsletter, received the articles yesterday, and just finished reading the whole stuff. I'm truly impressed by Jacob's work! Nobody has ever done such an in-depth comparison. The results are very good regarding Kailh switches, indeed.